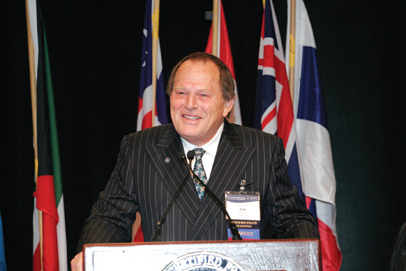 Joseph T. Wells, CFE, CPA, is the founder and chairman of the Association of Certified Fraud Examiners (ACFE; www.acfe.com), an organization dedicated to reducing the incidence of fraud and white-collar crime. When he speaks about fraud detection and deterrence, people listen. He recently sat down with CPA Journal Editor-in-Chief Mary-Jo Kranacher to discuss the ACFE’s research into the nature of fraud, the ways fraud can be uncovered and prevented, and the accounting profession’s role in the fight against fraud. Discontent with the implementation of the Sarbanes-Oxley Act of 2002 (SOX) by the Public Company Accounting Oversight Board (PCAOB) continues. Both the SEC and the PCAOB recognized that serious problems persist when they held a second roundtable on May 10, 2006.